Amaranto is a visual novel set in a post-apocalyptic world situated within the Yuri/Girls Love genre. 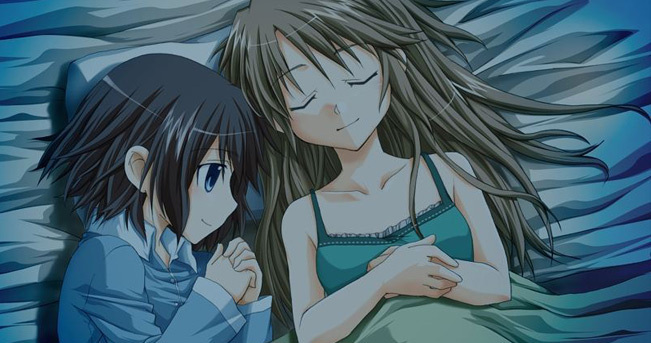 As such, the protagonist Mio can pursue a number of relationship “pathways” involving different girls, namely with Shizuku, Aya, Azoth, and Ria. Depending on which ending the player chooses, the relationship option that Mio ends up in can feel more or less romantic. Notably, there is no explicit sexual content in the story, at most there are “snuggle/kiss scenes” between the girls.